We love our desserts. Don’t you? Whether it’s chocolate, vanilla or fruity, these sweet drops of heaven always bring joy. But what if we told you that desserts can be even better, depending on your personality? With the most romantic day of the year just around the corner, this handy guide will give you the best gift ideas for Valentine’s Day. Here are the best desserts for your valentine, based on their personality. For the one who can’t get enough of Karan Johar’s romantic dramas and dreams of the perfect filmy wedding, you need the perfect combination of red velvet, strawberry desserts and an assortment of other goodies. If chocolate is bae for your bae, you don’t need to go too far. But you do have to be choosy. A chocolate lover knows what they want. They like the warmth of a chocolate lava cake and the nutty flavour of a brownie. Such a combination is the perfect gift for them. The sassy ones are the funniest ones, aren’t they? Their quick wit and hilarious comments can entertain us in the most boring parties. Since you know what they’re capable of, you need to choose wisely to avoid being at the receiving end of that wit. A sugar overload won’t cut it for them. Surprise them with a sweet and savoury breakfast combination like the one below. Breakfast is the most romantic meal, isn’t it? Does your bae hate it when you touch their food? If they don’t like to share, don’t make them. Instead, choose something for which you can get separate, individual portions. Digging into one pastry for the romance of it and ruining their day in the process is just not worth it. So, make their day, and yours, with these delectable goodies. Working out and eating healthy is a great thing. But when it comes to choosing baked goods for such people, it becomes a huge task. Everything is unhealthy for them, isn’t it? But that won’t happen if you choose a selection of oat cookies, healthy, tasty breads and gluten-free options. A fitness fixation will no longer come in the way of enjoying freshly baked goodness. 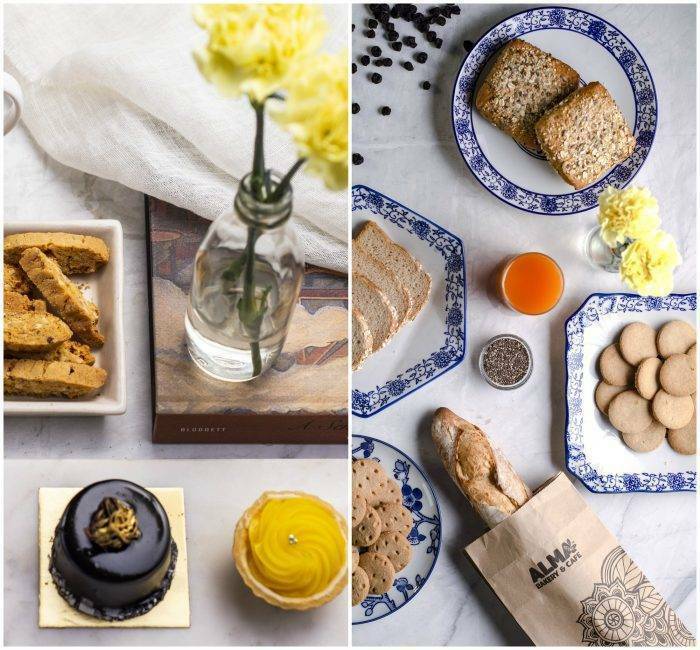 You will find all these delicious items and more at Alma Bakery and Cafe in Sector 104, Noida. For more details, click here.